It was a busy week, and my top photo comes from its most important event, Garden of Laughs. 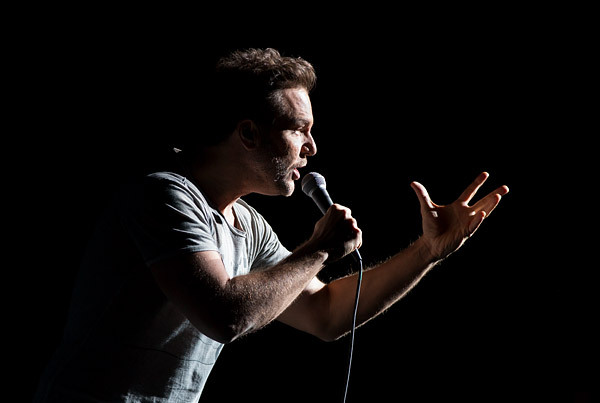 The benefit standup comedy show in The Theater at Madison Square Garden featured Dane Cook, John Oliver, Lewis Black, Bill Burr, Billy Gardell and countless celebrity presenters. It raised nearly $1.4 million for the Garden of Dreams Foundation, a non-profit organization that works with The Madison Square Garden Company to positively impact the lives of children facing challenges such as homelessness, extreme poverty, illness and foster care. A night of laughter while helping kids in need: a win-win. Photo tech specs: Canon 5D Mark III camera, 70-200mm f2.8 II lens @ 200mm, f3.2, 1/400th, ISO 800.